Political analysts believe that power shortage has become a major electoral issue not only in this state but across the country. Modi's spiel, frequently mentioning Gujarat's power achievement, is finding resonance among voters in most states. It was Narendra Modi's sixth rally in Uttar Pradesh (UP), this time at Gorakhpur. On January 23, the Bharatiya Janata Party's (BJP) prime ministerial candidate travelled to Varanasi in a chartered aircraft before proceeding to Gorakhpur by chopper. At Varanasi airport, Modi met some BJP leaders, including his confidant Amit Shah, and took stock of poll preparations. Just a few km away from the airport, Samajwadi Party supremo Mulayam Singh Yadav, whose son Akhilesh is chief minister of the state, was addressing a rally at Benia Bagh Park in the heart of the city. Modi made time to listen to Yadav's speech on TV. A combative Yadav was targeting Modi for his alleged role in the 2002 Gujarat riots. "We will not allow Modi to turn UP into another Gujarat," he said. Modi chose to take Yadav head on. At his Gorakhpur rally, Modi said: "Do you know what turning UP into Gujarat means? It means providing 24x7 electricity in every village." The riposte was a political masterstroke by Modi, hitting Yadav where it hurt most. UP faces an acute power shortage - with four to 10 hour power cuts daily in most parts of the state - and its distribution companies (discoms) are in a financial mess. In fiscal year 2013/14, accumulated losses of the discoms in the state are expected to touch Rs 32,000 crore. 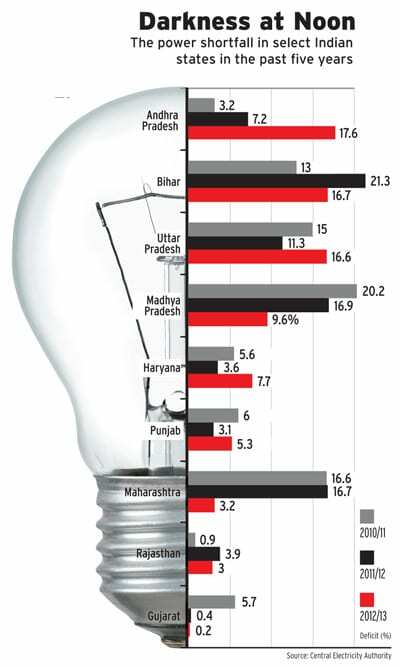 Worse, about 10 per cent of villages in the state have never been electrified. Yadav was clearly on the backfoot. A few days later he stated that UP too would get 24-hour power from 2015. UP is only one instance. Political analysts believe that power shortage has become a major electoral issue not only in this state but across the country. Modi's spiel, frequently mentioning Gujarat's power achievement, is finding resonance among voters in most states. Indeed, the BJP is set to make the power situation in the country a cornerstone of its electoral strategy. "Development is a key agenda for the party. 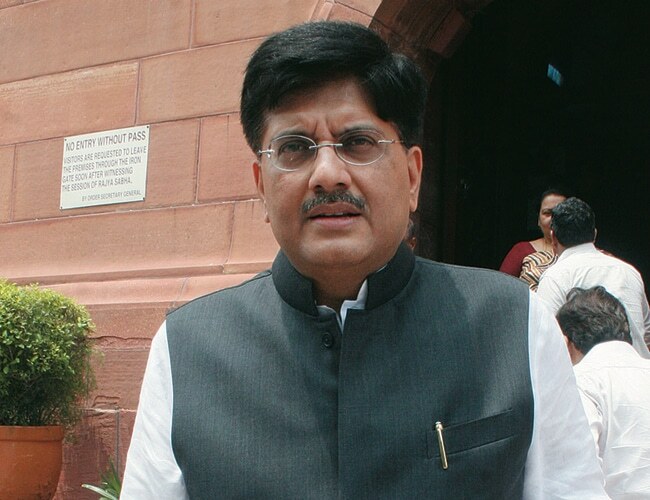 We see electricity as a major ingredient for it," says Piyush Goyal, National Treasurer, BJP. Only two states in India - Gujarat and Chhattisgarh - provide 24-hour power supply. Only three states have discoms that are profitable (without subsidies) - West Bengal, Goa and Maharastra - according to the Planning Commission. Rating agencies ICRA and Credit Analysis and Research (CARE) rank the four discoms in Gujarat as the country's best and the five in UP as the worst. UP is trying to reduce distribution losses, which were at a high 30 per cent in 2013; Gujarat had losses of roughly 18 per cent the same year. The national average is 27 per cent. In the summer of 2013, industrial towns in UP such as Kanpur and Ghaziabad faced forced power holidays. "Last year we lost almost two days of production a week because there was very little power available. Electricity round the clock means more business," says Vikramjit Singh, who runs a small textile unit in Ghaziabad district of the state. Manoj Kumar Upadhyay, Chairman and Managing Director of energy solutions provider ACME Group, sums up the grimness of the situation. "Some 66 years after Independence, India still has 75 million households without access to electricity. The government's own data shows that the per capita consumption of power in rural households is only eight units per month compared to 24 units in urban households," he says. In most parts of India there is no electricity for 2,000 to 3,000 hours annually - that's 83 to 125 days. Whether it is Nitish Kumar-led Bihar, Mamata Banerjee-led West Bengal, Naveen Patnaik-led Orissa or Congress-ruled Maharashtra, power shortage is endemic in all these states. "Giving power 24X7 is at the core of BJP's economic agenda. Modi will push for it just as Atal Bihari Vajpayee did with the Golden Quadrilateral Road project," adds Goyal. Not to be outdone, the ruling Congress too has promised 24-hour electricity across the country over the next five years in its election manifesto. It remains an elusive goal for the Congress-led United Progressive Alliance government despite India's installed power capacity doubling over the last ten years. "Our goal is to take electricity to 90 per cent of Indian villages and all urban areas," says power minister Jyotiraditya Scindia. Meanwhile, pursuing his promise to provide uninterrupted power from 2015, Yadav has asked UP power secretary Anil Kumar Gupta to improve the availability of power in the state. But according to the new schedule issued by Uttar Pradesh Power Corporation Ltd (UPPCL), 24-hour electricity is only possible in important cities such as Lucknow, Agra and Noida. Alongside, the pocket boroughs of important politicians - Rae Bareli, Amethi, Etawah, Mainpuri, Kannauj and Rampur - could also get round-the-clock electricity. The rest of the state, however, will face scheduled power cuts of two to 10 hours. UP is only able to provide electricity for eight hours to villages electrified under the Rajiv Gandhi Rural Electrification Scheme. Shailendra Dubey, Chairman of the All India Power Engineer Federation, doubts Yadav's directive will have any impact. "The current scheduling of power in the state will require 12 gigawatt (GW) power, but the state has access to only 10.5 GW," he says. The situation is equally bad in Bihar, reeling under daily power cuts of eight to 12 hours in rural and semi-urban areas. According to the Central Electricity Authority (CEA), the advisory arm of the power ministry, the installed capacity of the country is 238 GW but the maximum peak generation achieved in the last 12 months was 134 GW. There are two reasons for this. There is low demand from states because of the poor financial health of discoms. Second, there is scarcity of fuel (oil, coal and gas) to run the power plants. An estimated 30 GW capacity is lying idle because of inadequate supplies of coal. In February, coal generation units on average ran at 65 per cent of their capacity. This leads to low per capita consumption. CEA data reveals that average per capita consumption is 920 kilowatt-hours, one fourth of China and less than one tenth of the US. In the current fiscal year, till the end of February, the country faced a shortage of 38,335 million units. Worse, 31,000 villages and 33 per cent households in India still don't get electricity. "The country is faced with the paradox of unutilised generation capacity on the one hand and discoms reluctant to buy additional power on the other, though available, forcing a large cross section of consumers to resort to buying three times costlier diesel-based generation," says former power secretary R.V. Shahi. But does Modi say how he will improve the power situation? BJP leaders cite his success in Gujarat. It all started nine years ago, after the state government opted for power reforms. In 2005 the state unbundled the Gujarat State Electricity Board and formed four separate discoms. This enabled better management and more efficient operations. The state subsequently segregated agriculture, industrial, residential and commercial demands, and installed more capacity. Modi also took care to ensure that the state electricity regulator remained insulated from political pressures, according to Goyal. The regulator has been able to revise power tariffs every year, which has ensured that the state bridged the gap between the average cost of supply and what users paid for it. Gujarat Urja Vikas Nigam Ltd., the holding company of the four discoms, reported a profit of Rs 13.81 crore in 2012/13. But if Modi takes charge in Delhi it will be an uphill task, as electricity is on the concurrent list. This means that the Centre and the states have to share responsibility for the development of the power sector in India. BJP's Goyal, who is in charge of framing the economic agenda for Modi's campaign, says their plan is to have a "cabinet", with all the chief ministers part of it, to take decisions relating to issues of national importance collectively. Significantly, power projects worth Rs 5.5 lakh crore have been stuck over the last couple of years which will impede power generation in the future. Many of these awaited approvals of the environment ministry under Jayanthi Natarajan. Her successor M. Veerappa Moily subsequently cleared some of the projects, but whoever forms the new government will have to ensure they are implemented. This includes Reliance Power's 4000 MW Ultra Mega Power Project at Thaliya in Jharkhand and the 2,800 MW nuclear power plant at Fatehabad in Haryana. "Today, the first thing any project developer needs to do is hire a lawyer even before he starts looking for engineers to implement the projects," says the CEO of a group with major interests in the power sector. He says every group that has invested in the power sector is involved in litigation with the government. Other factors delaying projects - besides the poor financial health of discoms and fuel shortages - include issues related to land acquisition and transmission handicaps. "The need of the hour is to boost the production of fuels in India, be they oil, coal or gas," says Anil Agarwal, CEO, Vedanta Resources. "These can all be produced in India. Let world-class people come and develop our resources that can be used to generate electricity." Also, there is an urgent need to revise power tariffs to pare the losses of discoms. Since 2013, the central regulator has pushed the states to rationalise tariffs. "There is no other solution to bail out the supply side of the business, but to increase the tariff. 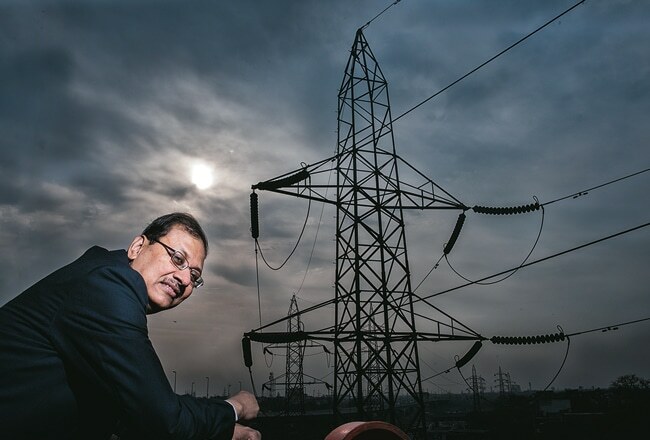 If the country is able to increase generation and curtail transmission and distribution losses, eventually the prices of electricity will settle down," says Sumant Sinha, Chairman and CEO of ReNew Power, an independent renewable energy power producer. ICRA in its report released on March 21 observes that most states are waking up to the need to hike tariffs. "The progress is satisfactory as some of the companies proposed a 15 to 26 per cent hike despite an election year," the spokesperson of the agency said. Deepak Amitabh, Chairman and Managing Director of Power Trade Corporation feels that tariffs have to be more realistic. "You cannot live with unrealistic tariffs that do not reflect the cost of generation," he says. Round-the-clock supply is possible but people will have to pay, says a senior official at one of the discoms in Delhi on condition of anonymity. In 2012, the finance ministry had to offer bailout packages to seven states whose discoms were on the verge of bankruptcy - Tamil Nadu, Uttar Pradesh, Rajasthan, Haryana, Himachal Pradesh, Madhya Pradesh and Punjab. Madhya Pradesh and Punjab chose not to accept the offer and opted for reforms instead, which seems to be working for them. Madhya Pradesh, for instance, has reduced transmission and commercial losses from 37 per cent in 2009 to 27 per cent this year. The power crisis in India is a burning electoral issue. Hopefully much needed power sector reforms will follow after the elections.